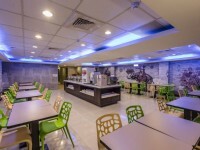 The Cloud Hotel Zhongli is located in the bustling area of Taoyuan, offering easy transportation access with Zhongli Railway Station and bus stop nearby. 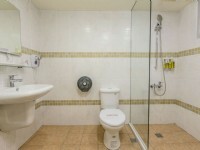 The hotel offers cozy accommodation, well-equipped facilities and friendly services. 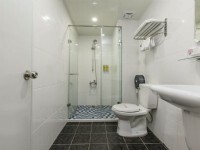 Each room is finely decorated in simplicity style appointed with mini-bar, large screen LCD TV, comfy bed, as well as free WIFI for you to plan your trip or keep updated with work and family. The front desk provides 24-hour reception and travel information, offering visitors the best accommodation experience. The ideal location allows travelers to explore local delicacies easily with only a 5-minute walk to Zhongli Xinming Night Market. For exotic cuisine and shopping, there are SOGO Department Store, many exotic restaurants and convenience stores in the neighborhood. 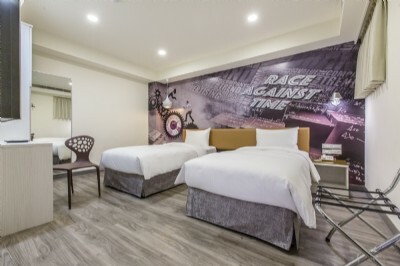 The Cloud Hotel Zhongli is the perfect accommodation choice for you to explore Taoyuan tourist attractions including Hey Song Beverage Museum, Wei Chuan Pushin Ranch, and Chung Yuan Night Market.